With trends shifting in the clothing market, more and more entrepreneurs are giving up the retail model to become wholesale clothing distributors USA. So if you’re planning to venture the same path, we’re really not very surprised. With relatively less market competition, launching a clothing distribution company is much easier. However, that is not to say, things are smoother with success guaranteed. If anything, distribution scene has its own challenges that, if not tackled well with the right approach, ensure a tough (and long) climb to the top of the ladder. If you’re a novice, confused with things around, unaware of the challenges ahead, here’s a step-by-step guide to successfully become (and remain) one of the top clothing distributors USA. Many people are lured into the clothing distribution scene with rather unrealistic expectations. And needless to say, they face many surprises and end-up with chunk of financial loss. Don’t be one of them! Know your marketthe trends and predictions; understand that there do exist competition for the wholesale clothing distributors in USA and that finding first few clients (retailers) would be the toughest and longest. There’s a lot to take care of, and a lot more to decide to ensure the path ahead remains smoother. The next step is to decide on ‘everything technical’; answer all the whats, whos, hows, whys. What he kind of clothing wholesale you’re going to deal in- fashion, fitness, lifestyle, sports? How are you going to ship the wholesale to other businesses? Why retailers should buy from you? This is possibly the most important step finding a good clothing manufacturer; after all, it is on them your whole business would depend on. So take your time here. There are many decent clothing manufacturers in the market; spend time to screen them. Make sure who you are going with meets your (and your target consumer) individual wholesale and pricing needs. And most importantly, if you’re planning to run your business in Dropshipping model, make sure the manufacturer offer dropship services. Mentioned already, making your first few sales would be the toughest and take a long time. Retailers won’t buy from you just because you exist. You need to approach them from the front, give them good reasons on why they should purchase their wholesale from you; you must explain them your USPs, and give them the right (and lucrative) reasons on why you are right from. So don’t hesitate from approaching your consumer from the front. You’ll hear lots of “No”. Don’t worry; eventually you’ll make your first sale. Marketing is the most important aspect of any business. Sadly, many new market players fail to understand this. 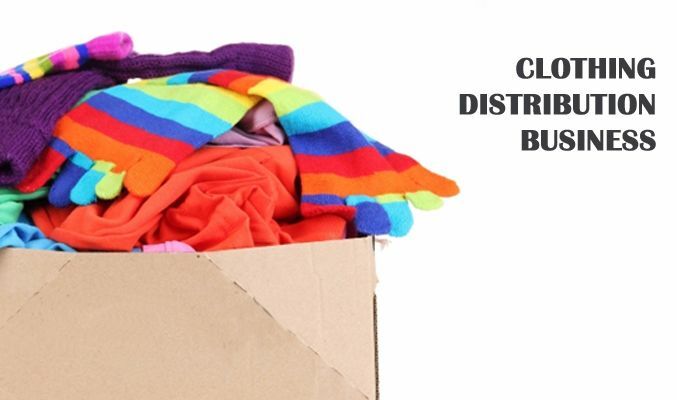 Make marketing your clothing distribution company a foremost priority. Leverage on Google, Facebook, Twitter and other relevant platforms to reach your target audience. Be engaging and thorough; address people’s needs and issues the right way. And don’t shy away from investing in paid advertisements. One of the simplest ways to scale and sustain your clothing company is to reinvest your profit back into the business. Stop running after profit and have a long-term perspective. No or less profit now would turn big in the future. 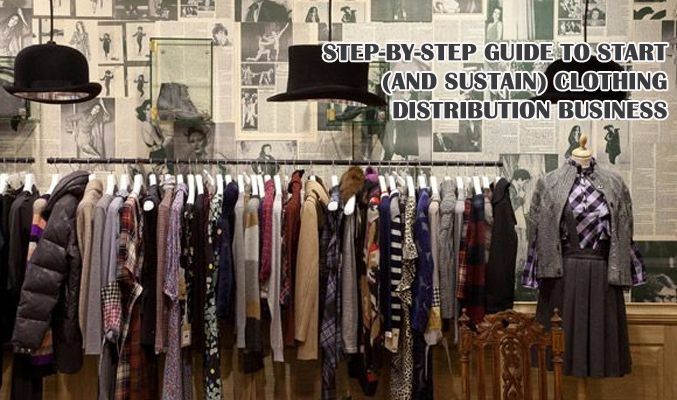 These are 6 easy ways to start and sustain your clothing distribution business easily. Now you know, get your things together and give yourself a right start.